Thieves hate when you lock up your belongings. It may seem like common sense, but many people don’t use the locks the own. Lock your car and house doors even when you’re at home and, more importantly, when you’re away. Use combination locks with letter, number and symbol coding instead of metal key-only locks or number-only combination locks. Some thieves can’t see the forest for the trees. For example, hide cash inside of tennis balls stored at home or hollow out the top of a stairway banister and secure money, jewelry and important paperwork inside. When traveling, carry your tablet inside a holder designed to look like a newspaper. When thieves know your routines, they can anticipate your actions. Never give them the advantage! Run errands at different times of the day. For example, if you have children you pick up after school, leave earlier some days or ask neighbors who also have children to carpool on alternating days. Thieves don’t like to be seen. Scare criminals away from your home by setting up bright, flashing or multicolored lights outside that turn on whenever someone walks past motion sensors. Sometimes only people can deter thieves. If you’re going out of town, ask someone you trust to visit your house at different times to check the locks and access points. 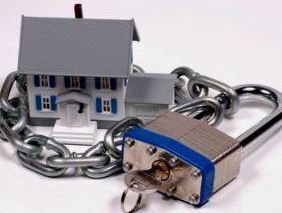 If your house watcher doesn’t mind, ask him to stay an hour each day or house-sit. Never make it easy for a thief to leave your home with your belongings. Invest in a silent alarm system that alerts a security firm when someone enters your home without turning off the system. Hide the alarm control panel away from the door behind a picture so the thieves can’t see that it exists. Lastly, prevent thieves from stealing expensive collectibles and irreplaceable mementos by leasing a storage unit in Columbus, Ohio or in your local area through a company that offers a fenced site with passcode access, security cameras and lots of locks! Don’t be discouraged by stories of burglary in the news. You can easily secure personal belongings with just these few changes.